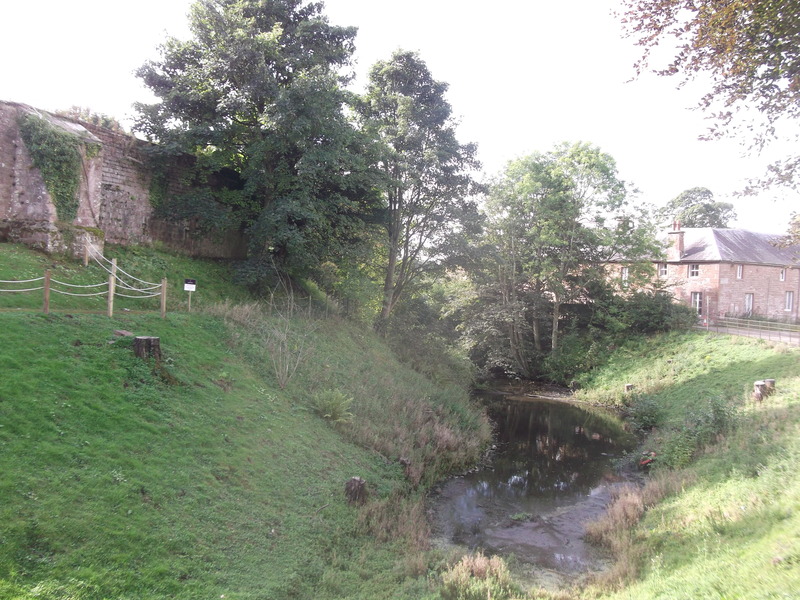 This guest post was written by Erik Matthews, Fieldwork Officer for the Architectural and Archaeological Society of Durham and Northumberland. Appleby Castle in Cumbria (formerly Westmoreland) is much less well known and certainly much less studied than its neighbours at Brougham, Brough or Carlisle. Yet it is substantially intact with masonry elements from at least three periods (12th, 13th and late 15th centuries) together with an extensive area of possibly earlier earthworks. The castle’s early history is tied to the kings of England: it is mentioned in the Pipe Roll of King Henry I in 1129-1130 and then it was seized by King Henry II as part of his re-occupation of the area from the Scots in 1157. 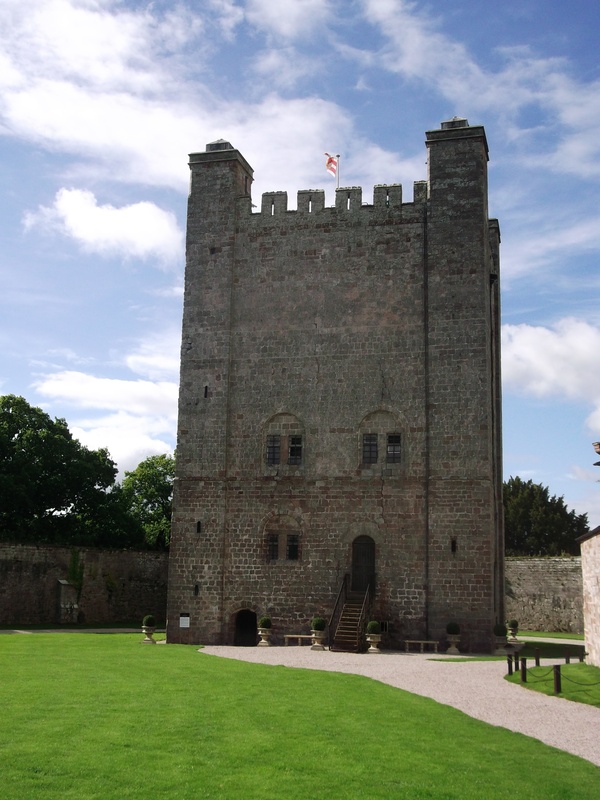 Later the castle was held by the Viponts in the 13th century and then by the Clifford’s in the 14th and 15th centuries. Along with Skipton, Pendragon, Brough and Brougham it formed a major element of the former Clifford landholding in the North West in the later medieval and early post-medieval periods. 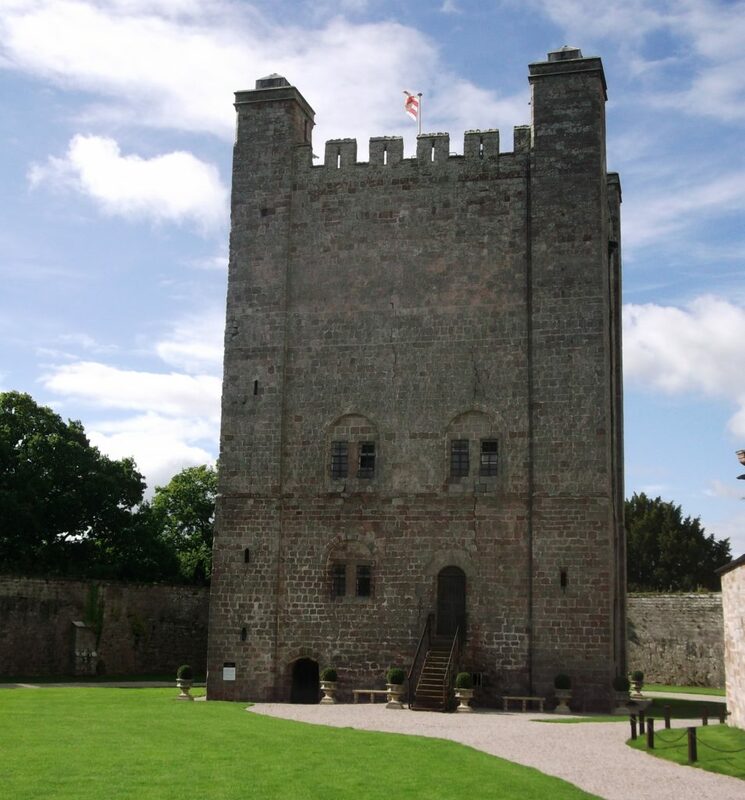 As such there are clear parallels between the 12th-century keep “Caesar’s Tower” and the great tower at Brough as well as between the late 15th-century hall range and the work of the Henry Clifford the 1st Earl of Cumberland at Skipton. The 12th-century great tower. Photo ©Erik Matthews. The site has recently re-opened after a protracted period of closure since the 1990s and is the centrepiece of a Heritage Action Zone recently designated by Historic England as a means of attracting investment into the area following on from the devastating floods of winter 2015. This gives a welcome opportunity to undertake a fresh study of the site which was last seriously examined by the Royal Commission on the Historical Monuments of England back in the 1930s. Further study of “Caesar’s Tower” is particularly over-due as recent research into similar structures in the UK, Ireland and France have changed our understanding of them. Historic England are funding consolidation works on “Caesar’s Tower” and the associated curtain wall. 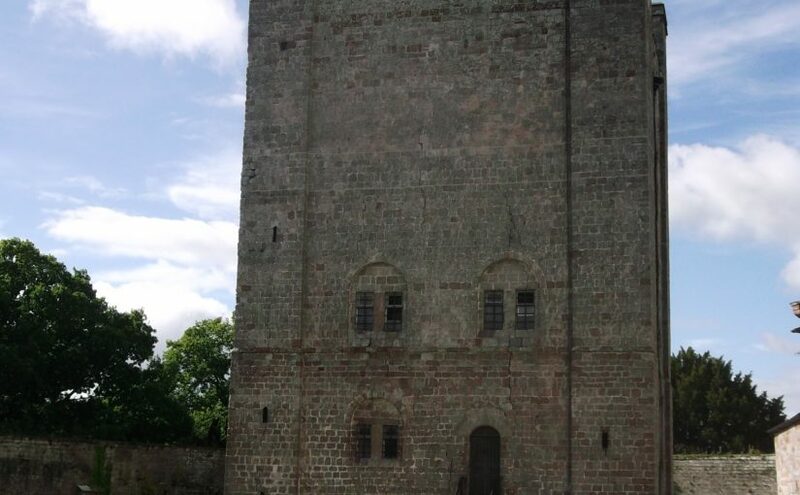 It is hoped this will include a photogrammetric survey of and a geophysical survey of the area between the curtain wall, the tower, and the later 15th-century hall range. Further detailed building recording surveys may be possible in the long term to disentangle the later 15th-century and mid 17th-century work associated with Lady Anne Clifford from earlier work within the Hall. The presence of what appears to be the remains of a postern gate with portcullis groove within the north wall and a curious bottle shaped tower at the western end give a hint of what might readily be identified. Part of the castle earthworks. Photo ©Erik Matthews. 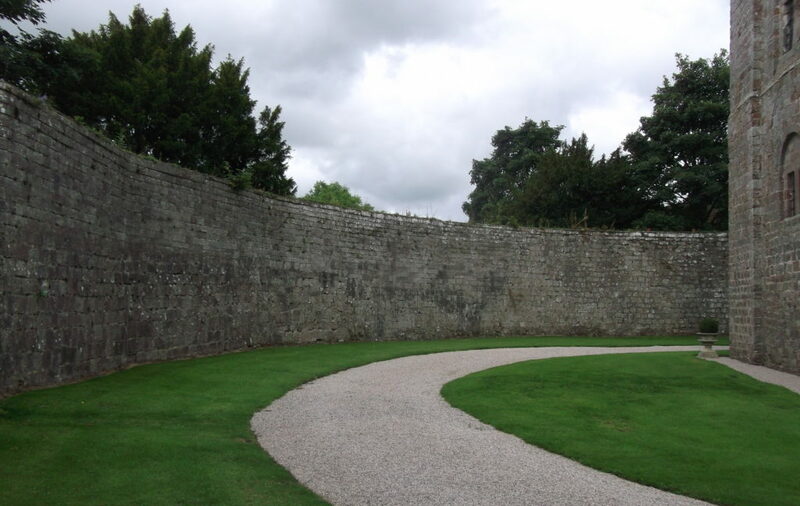 The curtain wall is of a characteristic early form with a low un-crennelated wall walk without towers. 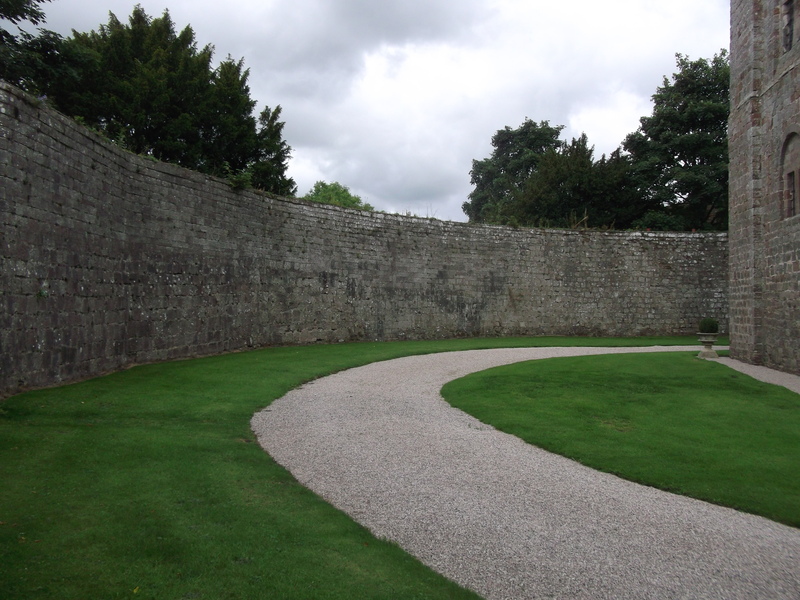 Rather than curving, it has angular changes of alignment and may have been built at the same time as the keep. It is unclear how the keep was arranged inside when it was built, but a drain from a sink or laver at third floor indicates there may have been a chapel or oratory. We also are uncertain where the original entrance was. The two earthwork baileys run roughly north to south and north-west to south-east and cover a large area. Investigation may reveal evidence of earlier structures from amongst the ephemeral remains of more recent activity. This section of the curtain wall may have been built at the same time as the keep on the right. Photo ©Erik Matthews. The project if successful holds out the prospect of answering a whole range of interesting questions about this fascinating and presently poorly understood site. “Some thoughts on the use of the Anglo Norman Donjon” Pamela Marshall. Pgs 159-176. Castles and the Anglo Norman World. John Davies, Angela Riley, JM Leveque, Charlotte Lepiche eds. Oxbow 2016.